Mitchinson’s, a mixed day house, looked out on the Mint Yard, and beneath it was part of the Chemistry department. 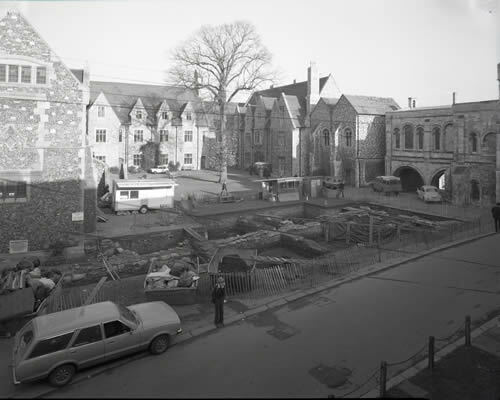 This building, whose foundation stone was unveiled by the Queen Mother in 1981, is on the site of the medieval Almonry, which housed the School from the sixteenth to the nineteenth centuries. The house opened, with boys and girls from Marlowe House, in 1982. The house moved in February 2018 to its new site in St Radigund’s. From September 2018 to March 2019 the building was the home of the International College, before it moved into the Malthouse site.